Have you organised rubbish removal as part of your party planning? Have a 21st Birthday to organise, a wedding, anniversary any large group you need to factor in rubbish removal. Our skip bags are perfect, easy to use carry home convenience, three sizes up to 3M3, takes ALL rubbish, even food scraps. No time limits, fill where you want. 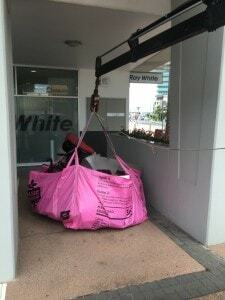 We are also the most cost effective skip on the Sunshine Coast. 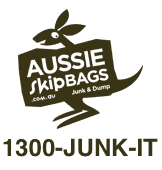 We are Sunshine Coast skip bags, our skips are designed to be ready when you are? Our skips come folded up, amazing right. These skips are safety rated to told up to 3 Tons in weight, yep that’s right. Give us a call we wont bit, find out more if you are not sure. If for any reason we don’t think we can do what you want we will tell you so after all we don’t want unhappy customers. Our skips are also filled on your land not the nature strip, why? Nature strip is council land and you are liable, also others can put their junk in your skip. We use a small truck to remove our skips which means you can even fill them in a garage or under a carport if you wish. Buy local support local, we are based in Kawana.